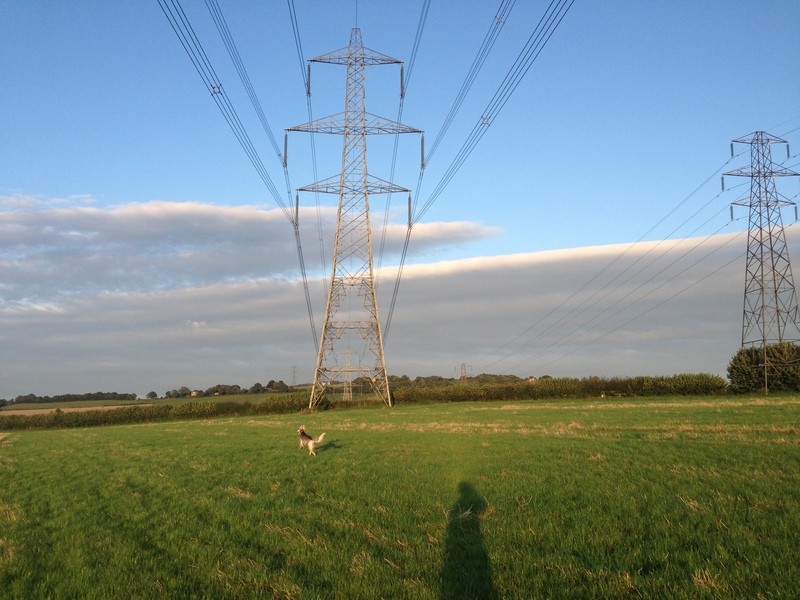 ‘Does anyone ever follow the tracks of the pylons? Even their maintainers? From the countryside into the city – isn’t that where they’re going? No good calling them ugly and forgetting them. Or calling them beautiful and patronising them. Because the city doesn’t work without them. They are an urban path out here. They are an arterial route. No good walking the city and not walking them. And what strange structure is that in the middle distance, where we do not go? It would be such a difficult journey. The route of pylons cuts against the walkable. And the buzz/hum; how long could you stand it? The prospect of a journey of discomfort. Too close to dangerous power, an individual or small group walking in the energy field for tens of thousands. I discovered this after I’d already had the idea for the Trans-missions performance score, but it was affirming to know that someone else had been thinking about pylons and walking. In the course of researching this piece, I have had cause to photograph, draw, read about or otherwise geek out over pylons. 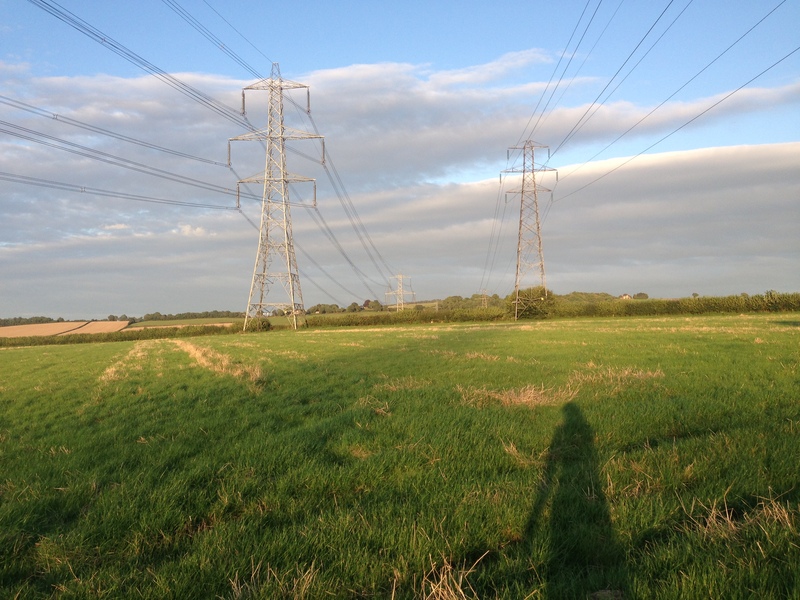 And discovered in the process, that pylons have formed the inspiration for a number of artists. My favourite pieces are below. Read it and weep (or salivate), fellow pylon geeks. 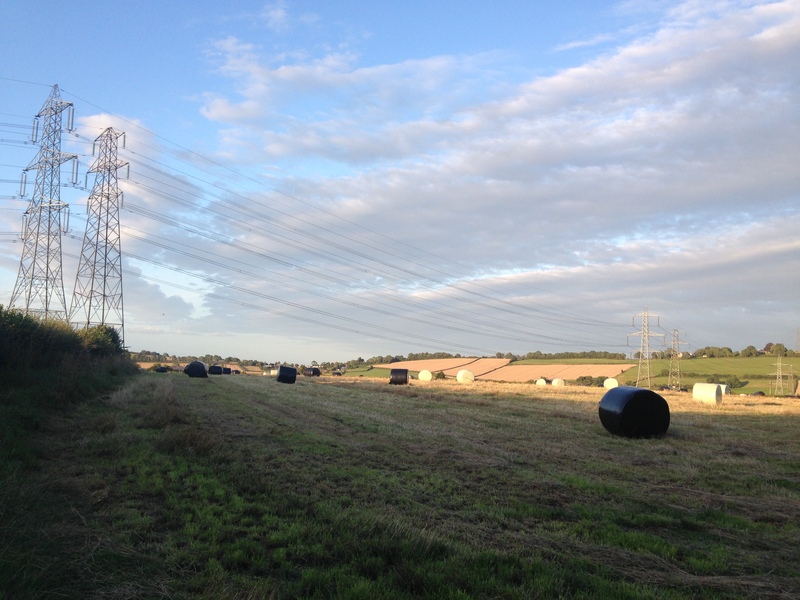 1301 fluorescent tubes stuck in the ground under an overhead powerline near Bristol, powered only by the electric fields generated by the lines. Box decided to see if he could fill a field with tubes lit by powerlines. After a few weeks hunting for a site, he found a field, slipped the local farmer £200 and planted 3,600 square metres with tubes collected from hospitals. A fluorescent tube glows when an electrical voltage is set up across it. The electric field set up inside the tube excites atoms of mercury gas, making them emit ultraviolet light. This invisible light strikes the phosphor coating on the glass tube, making it glow. 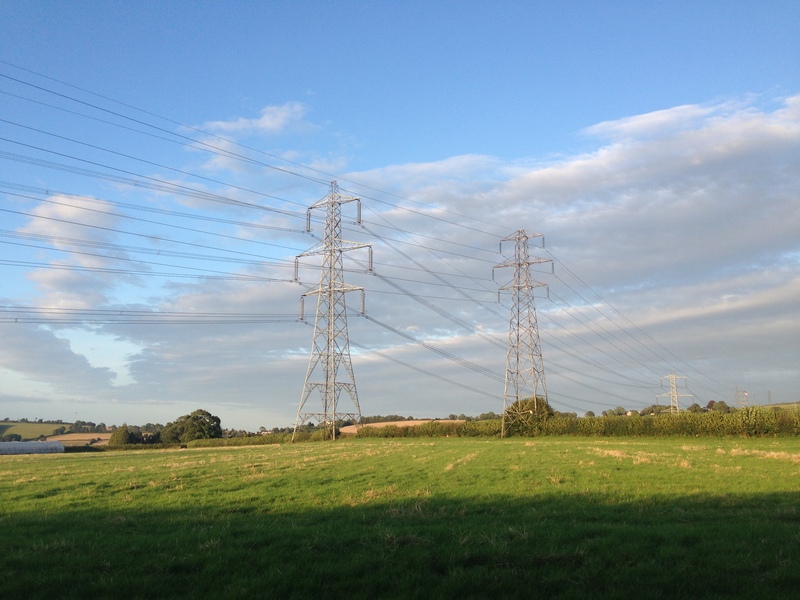 Because powerlines are typically 400,000 volts, and Earth is at an electrical potential voltage of zero volts, pylons create electric fields between the cables they carry and the ground. Pylons of Great Britain was an entry to the 2011 Pylon design competition, organised by the National Grid and the Royal Institution of British Architects (RIBA). It was not selected by the judges. The text and images in this article are based on excerpts from the submitted proposal. The successful entries can be viewed here. Therefore we need to make them less ugly. Who is good at making things look less ugly? 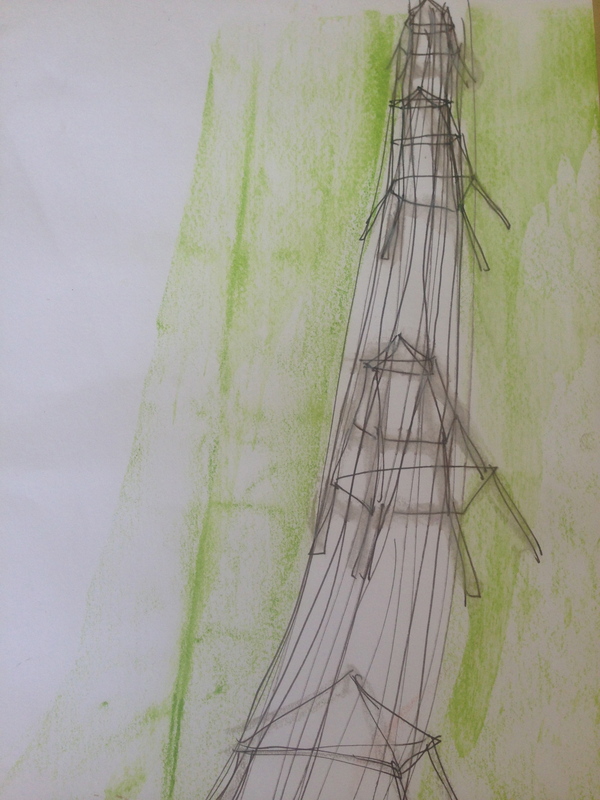 What is proposed therefore is not a singular design for the pylon, but rather a generative system; a piece of open, parametric software which allows the distinctive lattice pylon to ‘evolve’ to its local environment. In each case, a unique structural topology is generated, which is articulated in a structural system of nodes and tubular steel connectors. 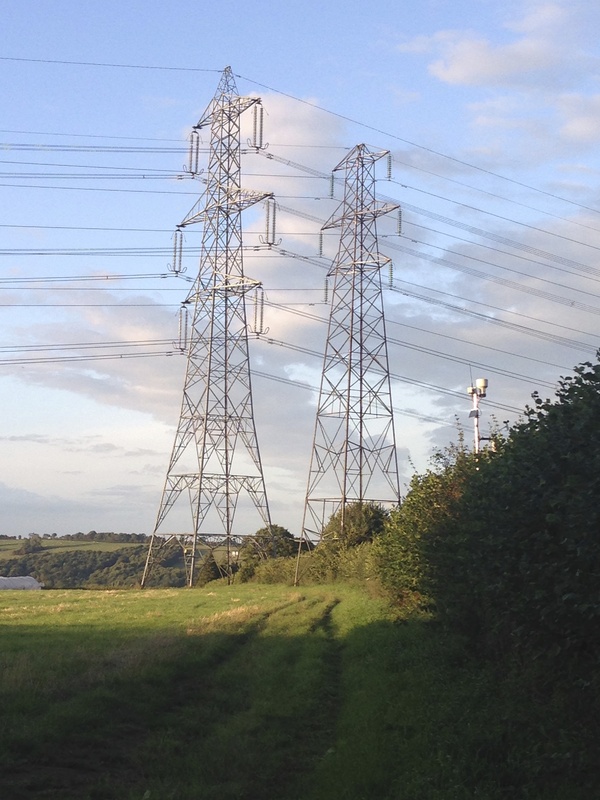 These parts can be manufactured, shipped and assembled with the same efficiency (but far greater effectiveness) as a universal solution, but allows structural and programmatic mutations: pylons as landmarks, follies, agricultural hardware, secret bluetooth tags… In essex, one wildlife conservation group co-design a pylon incorporating a bat habitat. Near the M5 motorway, a parish council commission an artist, who fits fluorescent strip lights to the pylon structure. Unwired, the bulbs cast an eerie glow across the motorway as the magnetic field around the power lines activates the mercury vapour in the tubes. Guidebooks note that they are referred to locally as the ‘ghost pylons’. Tagged architecture, art, energy, landscape, National Grid, power, pylons, walkingBookmark the permalink.